Here in the Solar System, we can watch our star's eight planets orbit with confidence, knowing full well that we've discovered at least the majority of round, orbit-clearing worlds around our Sun. But there's a 4.5 billion year history that we can't fully know from our vantage point today. 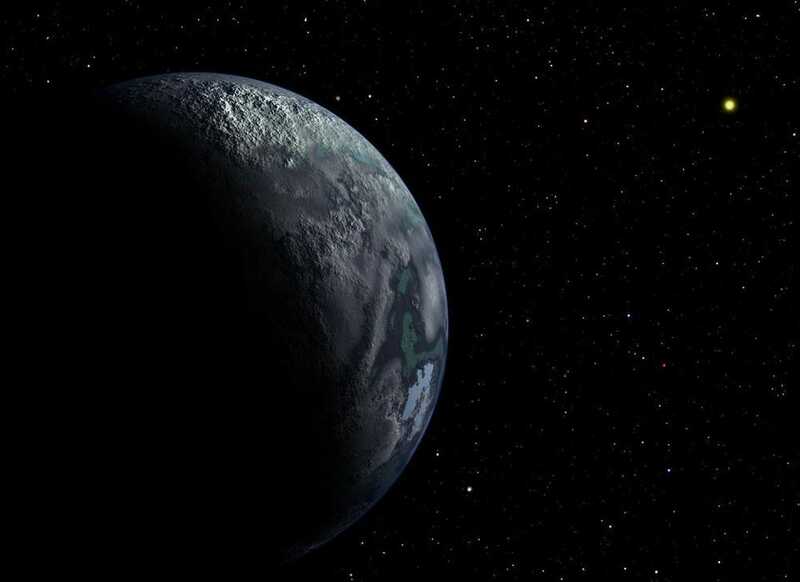 All we can be certain of are which planets have survived until now. What about the worlds that were formed around our Sun early on, and then ejected by some violent gravitational process? What about the worlds that would have been planets had they only formed around a star, rather than in the abyss of interstellar space? Over the past few years, we've begun to find these orphan planets — sometimes called rogue planets — in the spaces between stars. Based on what we know of stars, gravity, and cosmic evolution, we can make a ballpark estimate of the total number of planets in the Universe, and it likely outnumbers our stars by anywhere from a factor of 100 to 100,000. 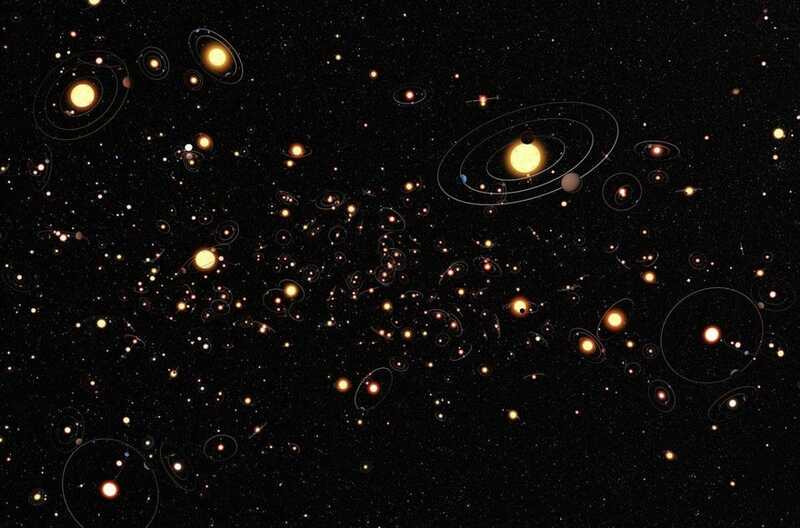 Space is full of planets, and most of them don't even have stars. Over the past generation, we've begun to understand that solar systems like ours are the rule in the Universe, rather than the exception. 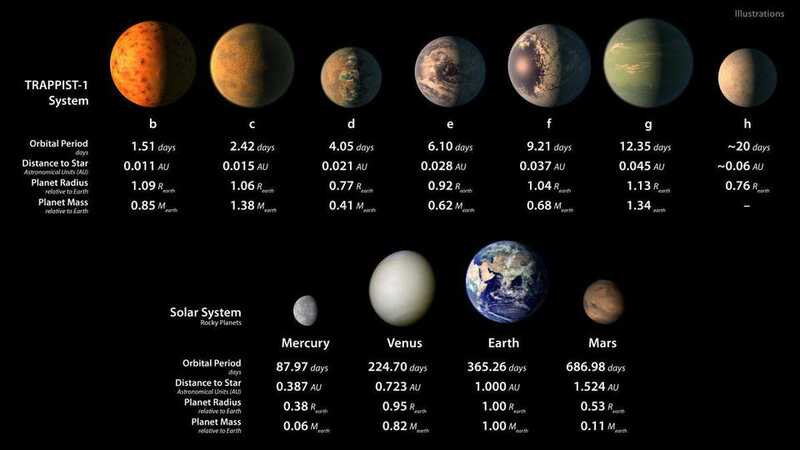 Studies of exoplanets have shown us, through both the transit method and the stellar wobble method, that not only do most (if not all) stars likely have planets around them, most of them likely have worlds with a variety of masses, sizes, and orbital periods around them. It's possible for stars to have gas giants in the inner parts of their planetary systems, to have many worlds within the orbit of Mercury, or to have planets much farther out than even Neptune is around the Sun. There is likely more variety among the worlds that orbit other stars than we ever would have guessed from looking at the Solar System alone. There are probably even stars out there with dozens or scores of planets orbiting them; we hope to discover this as we get better at looking. On average, we can say that there are likely 10 planets per star in our Milky Way galaxy, knowing that this is an estimate based on incomplete information. The true average may be a smaller number like 3, or a larger number like 30, but 10 is a reasonable ballpark based on what we know so far. As we alluded to earlier, though, this number only represents the survivors we have today. Over the course of a solar system's life, there are many worlds that are created but won't survive, intact, until the present day. Some will collide-and-merge with others, forming larger worlds. Others will gravitationally interact and lose energy, hurling them inwards and, potentially, into the central star. According to simulations, for every Solar System like ours that forms, there should be at least one gas giant and approximately 5-10 smaller, rocky worlds that are ejected into interstellar space, where they'll wander homelessly through the galaxy. Already, this tells us that the number of planets without stars is comparable to the number of planets that are orbiting stars today. 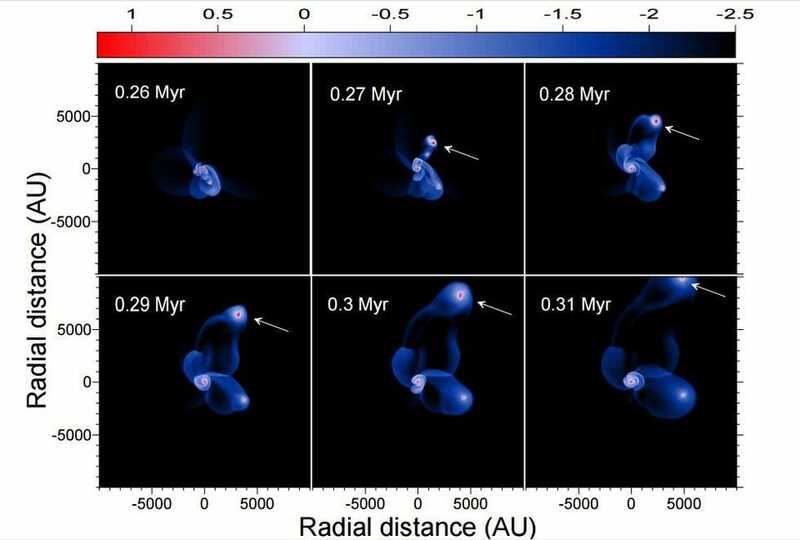 But these are just the orphaned planets: planets that once had a home around a star, and were separated from their parent star by the gravitational push of their siblings. These are the cosmic "Abels" of the Universe, being the victims of planetary fratricide. Yet, as numerous as these worlds are, with perhaps a few trillion of them wandering through the Milky Way, the vast majority of rogue planets never had parents at all. To understand why, we have to go all the way back to how stars first form. 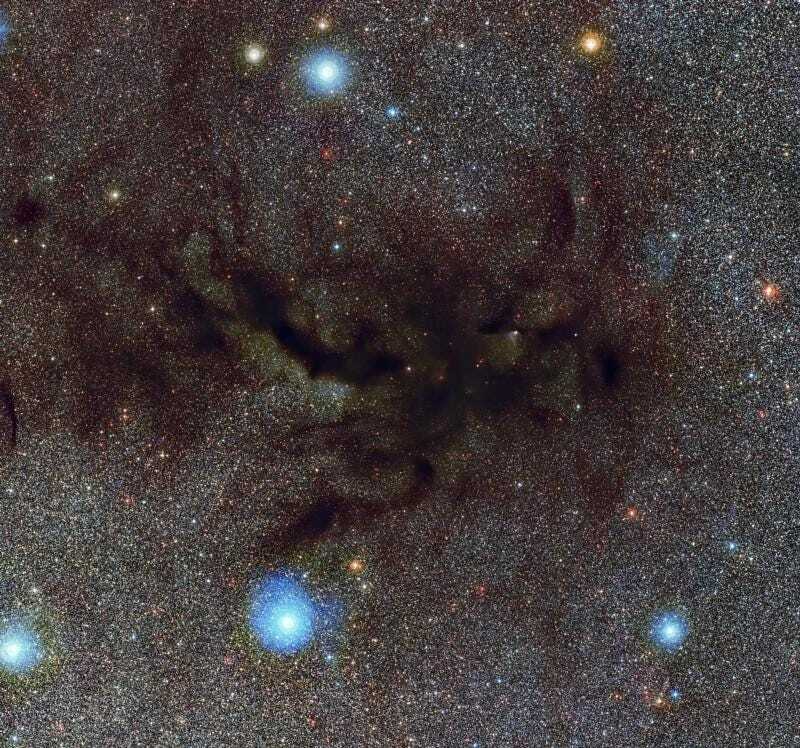 Whenever you have a large, cool molecular cloud of gas, it's going to fragment and collapse into a number of clumps, where gravitation works to pull mass inwards and radiation works to push it outwards. If your cloud of gas is cool enough and massive enough, it can reach sufficient temperatures and densities at the cores of the densest clumps to ignite nuclear fusion and form stars. Within a star-forming region, there's a tremendous race taking place: between gravitation, which works to form as many stars of as great a mass as possible, and between radiation, which works to blow the gas away and bring an end to gravitational growth. When we look at a newborn star cluster, our eyes will tell us that gravity won, as a huge number of massive stars is often immediately apparent. If you take a look at all the mass in a molecular cloud before it formed stars, you'd find that 90% of it winds up back in the interstellar medium; only about 10% of the mass winds up becoming stars or planets. 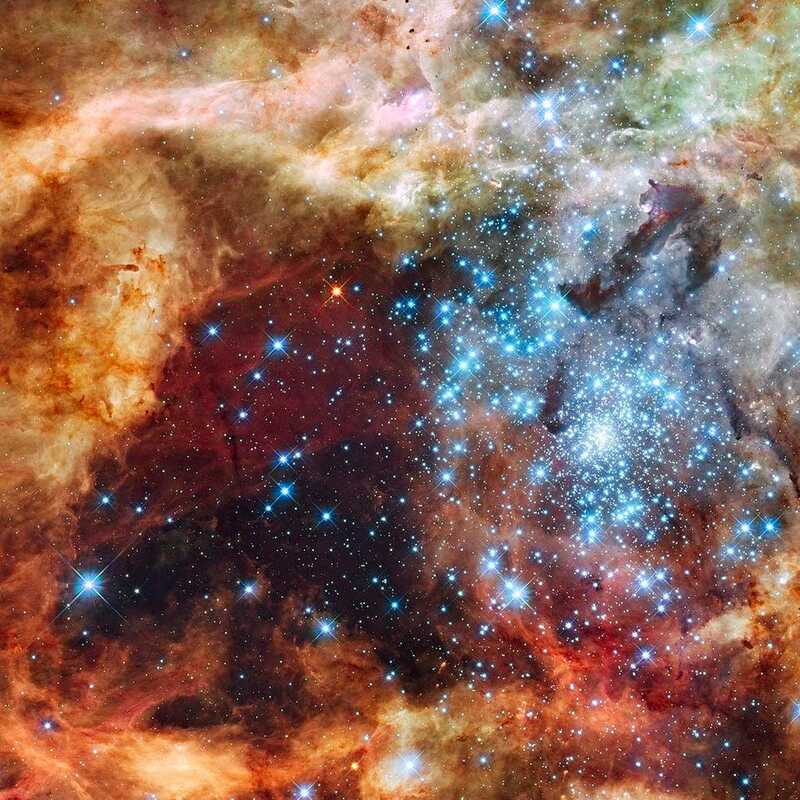 The most massive stars form the fastest, then blow the remaining gas away over millions of years, stopping the remaining possibilities of star-formation in their tracks. 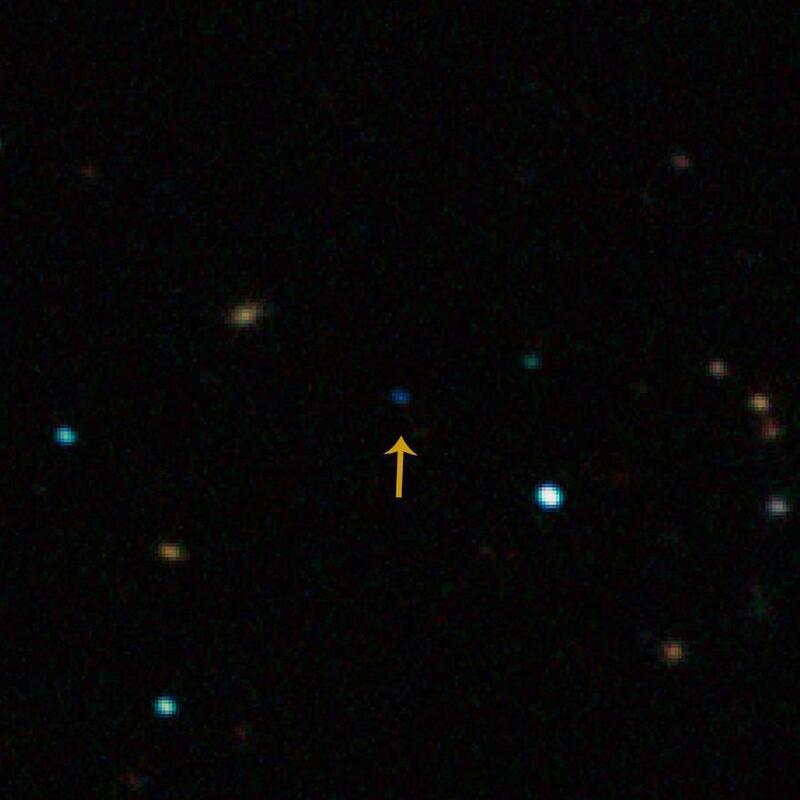 This leaves a lot of low-mass and intermediate-mass stars in the cluster as well, but also creates a large number of failed stars: clumps of matter that never made it past the threshold to become a star. These clumps, despite never forming around a star, are large enough and massive enough to fit the geophysical definition of a planet. According to a 2012 study, for every star that forms, there are anywhere between 100 to 100,000 nomad planets that also form, destined to wander, starless, through interstellar space. Think about the fact that our own solar system contains hundreds or even thousands of objects that potentially meet the geophysical definition of a planet, but are astronomically excluded only by the virtue of their orbital location. Now consider that for every star like our Sun, there are most likely hundreds of failed stars that simply didn’t accrue enough mass to ignite fusion in their core. These are the homeless planets — or rogue planets — that far outnumber planets like ours, that orbit stars. 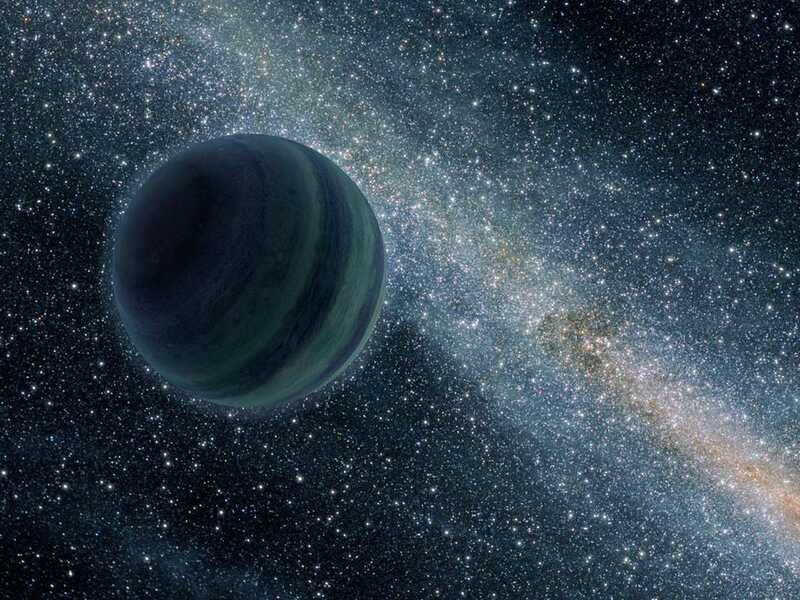 These rogue planets are exceedingly common, yet due to the fact that they're so far away and aren't self-luminous, they're extraordinarily hard to detect. Remarkable, then, that we've managed to find four possible rogue planet candidates. In the vastness of space, these bodies that emit no visible light of their own can be seen, either by reflected starlight, the emission of their own infrared light, or from their microlensing effects on background stars. When we look at our Universe, where our own galaxy contains some 400 billion stars and there are some two trillion galaxies in the Universe, the realization that there are around ten planets for every star is mind-boggling. But if we look outside of solar systems, there are between 100 and 100,000 planets wandering through space for every single star that we can see. While a small percentage of them were ejected from solar systems of their own, the overwhelming majority have never known the warmth of a star at all. Many are gas giants, but still more are likely to be rocky and icy, with many of them containing all the ingredients needed for life. Perhaps, someday, they'll get their chance. Until then, they'll continue to travel, throughout the galaxy and throughout the Universe, vastly outnumbering the dizzying array of lights illuminating the cosmos.